Updating this as more information comes out. Final update at the bottom, last line. Okay, this AP "article" pretends to be a fact check, so I shall perform a fisking and add some facts. If the above link does not work in the future, don't blame me, blame the Associated Press for hiding history. NEW YORK (AP) -- When President Barack Obama's re-election campaign unveiled its new slogan, some conservative critics were quick to pounce. "Forward," they asserted, is a word long associated with Europe's radical left. Its choice reaffirmed their contention that Obama is, to some degree or other, a socialist - a claim that surfaced early in the 2008 campaign and has persisted ever since, fueling a lively industry of bumper stickers and books..
"New Obama slogan has long ties to Marxism, socialism," read a headline in The Washington Times. A column by Russian immigrant Svetlana Kunin, for Investor's Business Daily, said Obama seeks to move America forward to "total government involvement in people's lives." This is far from a new phenomenon - the use of "socialist" as a political epithet in the U.S. dates back to pre-Civil War days when abolitionist newspaper editor Horace Greeley was branded a socialist by some pro-slavery adversaries. 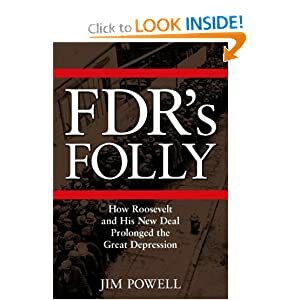 In the 20th century, many elements of Franklin Roosevelt's New Deal - including Social Security - were denounced as socialist. So was Medicare when it was created in the 1960s. But to many historians and political scientists - and to actual socialists as well - the persistent claim that Obama is a socialist lacks credence. How about the American Socialist Party? We have endorsed the candidacies of Barack Obama and Joe Biden . . . Followed by: Blah, blah, not socialists, blah, blah, not Republican, blah, blah, they are just like Socialists but in a different party, so we endorse them over everybody else. How about his membership in the New Party? How about some news from the New Party's own website? Thank you Wayback Machine! The Chicago New Party is increasely becoming a viable political organization that can make a different in Chicago politics. It is crucial for a political organization to have a solid infrastructure and visible results in its political program. The New Party has continued to solidify this base. First, in relation to its infrastructure, the NP's membership has increased since January '95 from 225 to 440. National membership has increased from 5700 in December '95 to 7000. Currently the NP's fiscal balance is $7,000 and receives an average of $450/month is sustainer donations. Secondly, the NP's '96 Political Program has been enormously successful with 3 of 4 endorsed candidates winning electoral primaries. All four candidates attended the NP membership meeting on April 11th to express their gratitude. Danny Davis, winner in the 7th Congressional District, invited NPers to join his Campaign Steering Committee. Patricia Martin, who won the race for Judge in 7th Subcircuit Court, explained that due to the NP she was able to network and get experienced advice from progressives like Davis. Barack Obama, victor in the 13th State Senate District, encouraged NPers to join in his task forces on Voter Education and Voter Registration. The lone loser was Willie Delgado, in the 3rd Illinois House District. Although Delgado received 45% of the vote, he lost by only 800 votes. Delgado commented that it was due to the NP volunteers that he carried the 32nd Ward. Delgado emphasized that he will remain a visible community activist in Humbolt Park. He will conduct four Immigration workshops and encouraged NP activists to get involved. The Chicago NP will hire a second organizer and an intern, preferably Spanish speaking, to work in the 35th Ward. Upcoming events include a 70's Retro Dance Party on Friday, July 12th, and Post Labor Day Picnic on September 7th. This is not exactly new evidence, just ignored evidence. He's widely seen as a pragmatist within the Democratic Party mainstream who's had ample success raising campaign funds from wealthy Wall Street capitalists. Even some of his strongest critics acknowledge that his administration hasn't sought one of the classic forms of socialism - government control of the nation's means of production. Again, not fact only opinion. However, crony capitalism followed by handouts to donors and stifling regulation of their competitors is indeed a classic form of socialism. Yellow Socialism, not Red, also known as National Socialism. Terence Ball, a political scientist at Arizona State University, said "socialist' has gained currency as an anti-Obama slur because "the `L' word (liberal) has lost it shock value." "I grow weary of Obama and the Democrats being called socialist," said Ball, who has written about ideologies. "If you talk to any real socialist, they disown them very, very quickly." Now, we are getting closer to some facts but Mr. Ball is lying through his teeth. 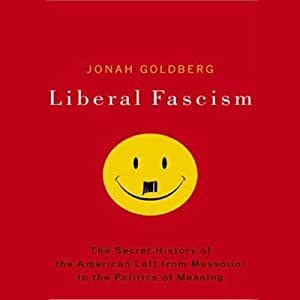 Liberal had replaced Progressive as a term for Leftists, i.e., Socialists. Real International Socialist Terrorists like Bill Ayers hold fundraisers for B. Hussein Obama. The video above has been available on YouTube since Nov 19, 2011 and is incredibly easy to find. Full-fledged U.S. socialists are relatively scarce these days - three socialist-oriented presidential candidates received about 21,000 votes among them in 2008. And current socialist leaders don't share the right-wing view that Obama is a fellow traveler. Well, no and that is just your opinion too, worded in a way to avoid the appearance of an outright lie. 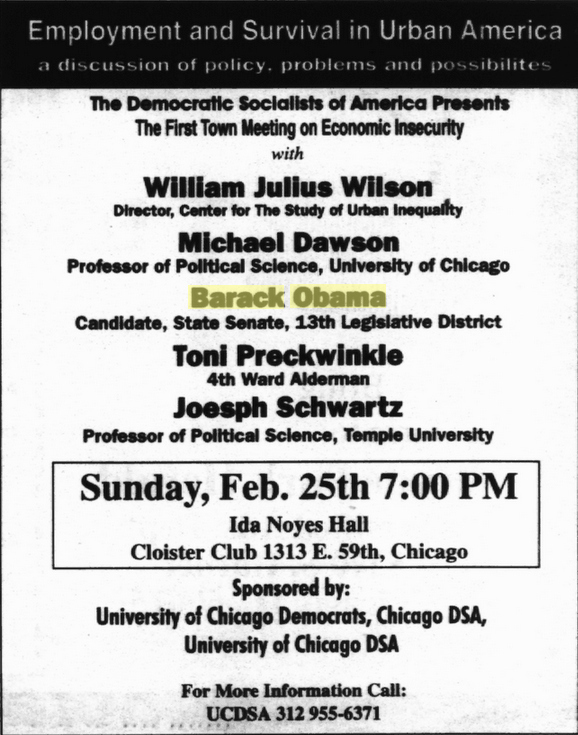 Parties that put Socialist in their party name are kind of scarce. According to Michael Moore, Capitalism and Socialism are running neck and neck in youth popularity (use your browser's find feature and look for "despite fear" on that page). According to me and the same polling service Moore used for his 'documentary,' Free-Market is twice as popular as Socialism when you tell people what they are voting on. What we have here is an instance of the Socialists like Michale Moore and David Crary knowing full well that Socialism is not really popular with "regular people." What they do is deny that Socialists who gained power are actual Socialists on one hand and on the other, trying to induce group-think by convincing non-Socialists that it Socialism more popular than they think. "It makes absolutely no sense," said Greg Pason, national secretary of the Socialist Party USA. Obama's health care overhaul "is anything but socialist. It's bailing out for-profit companies." Yet Pason has been pleased by the "socialist" rhetoric. "We've had an opportunity to talk to people, and that's been a blessing," he said. "People have actually researched socialist organizations." 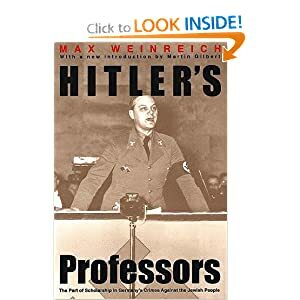 If one only examines the Fascist Manifesto, penned by Mussolini in 1919, one can see that Obama embraces National Socialism quite openly, although he does like to roll it in different, sweet, sticky language. Both Mr. Pason and Mr. Crary seem to be getting Communist confused with all of Socialism. Different strokes for different folks, and all that you know. One tidbit they might learn: The Pledge of Allegiance - the epitome of American patriotism - was written in 1892 by a socialist clergyman, Francis Bellamy. When the 2012 Republican presidential campaign was still competitive, three of the leading candidates - Rick Perry, Newt Gingrich and Michele Bachmann - depicted Obama as a socialist. Mitt Romney, the eventual winner, declined to go that far. That is because Romney is a mushy wimp, securing his favor with the Country Club, Elitist Establishment, Republican Left. "I don't use the word `socialist,' or I haven't so far," Romney told CNN in an interview last year. "But I do agree that the president's approach is government-heavy, government-intensive, and it's not working." In one of the GOP debates, Romney asserted that Obama "takes his political inspiration from Europe, from the socialist-democrats in Europe." Radio host Rush Limbaugh was among several conservatives who chided Romney for his reluctance to call Obama a socialist outright. "You know, I keep forgetting, the fact that Obama is black, is why we can't call him a socialist," Limbaugh said on one of his shows. "That had slipped my mind because when I look at Obama, I don't see black. I see a socialist. I see a Marxist." I see National Socialist, but what the Hell. A slew of books have been written by conservative authors trying to out Obama as socialist. 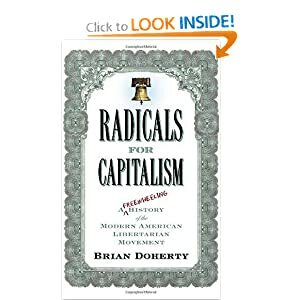 Among the more ambitious, in terms of research, was "Radical in Chief" by Stanley Kurtz, a senior fellow at the Ethics and Public Policy Center, a conservative Washington think tank. Delving into Obama's years as a student and a community organizer, Kurtz contended that Obama is part of a coterie of "stealth socialists." "Over the long term, Obama's plans are designed to ensnare the country in a new socialism, a stealth socialism that masquerades as a traditional sense of fair play, a soft but pernicious socialism similar to that currently strangling the economies of Europe," Kurtz wrote. Sounds like an observant writer. Actually, Obama is quite overt about it, but what makes it stealthy is the American media industry's ignorance of history. Again, see Mussolini's Fascist Manifesto, or read Hitler's speeches on Economics. Wow, an anti-Communist Socialist! Whodathunkit? President Obama merely drops the anti-Communist part. National Socialism wins elections, Marxism wins revolutions. You have to actually know how to use a gun to do the revolution thing. You can almost make a fun little quiz. 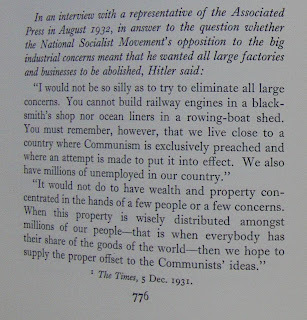 Who said, "It would not do to have wealth and property concentrated in the hands of a few people or a few concerns. 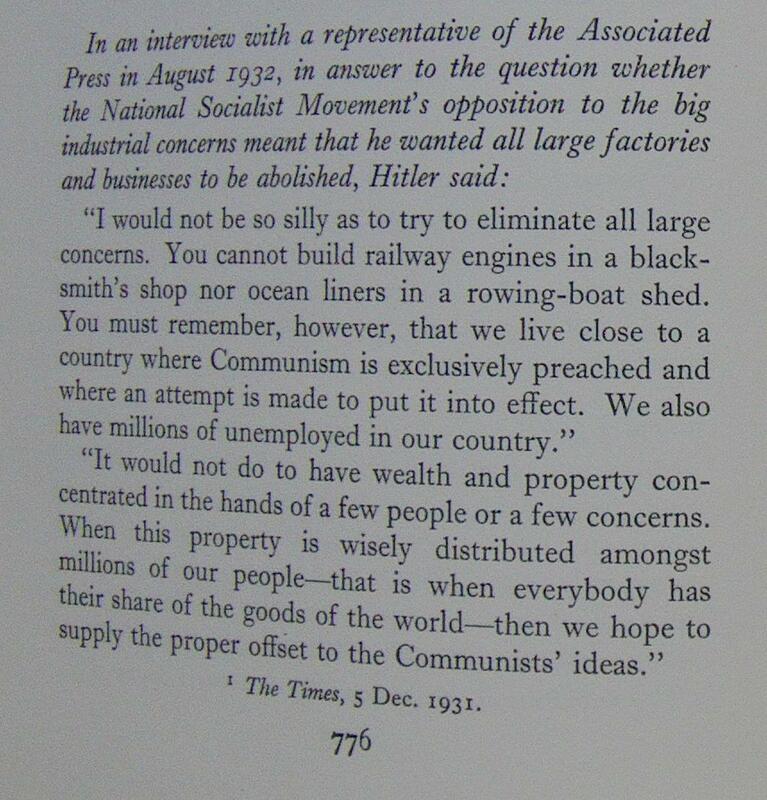 When this property is wisely distributed amongst millions of our people - that is when everybody has their share of the goods of the world - then we hope to supply the proper offset to the [other side's] ideas." Obama 2008 or Hitler 1932? Oddly, that wording does not appear in very many places on the internet. One curious place that it does appear is here: A UNIQUE LETTER OF IQBAL A nice long proof that Islamic Economics is indistinguishable from National Socialist Economics, with a closing paragraph that tries to convince the reader that it really isn't similar. In much of today's world, socialism lacks the contentious overtones that it has in America. The new French president, Francois Hollande, is a Socialist, and most of Western Europe adheres to socialist-style policies that endure under a variety of governing parties. No kidding. Yellow Socialism was invented in France. Canada, which resembles the U.S. in so many ways, has a universal health care system and its main opposition party, the New Democrats, is union-backed and has socialist roots. However, they have been running away from Socialism for a while. They even get a nod of approval from the libertarian Reason blog for moving in the correct direction - Canada's Free-Market Reforms Provide Model for U.S.
One of the few contemporary U.S. politicians to embrace the socialist label is Sen. Bernie Sanders of Vermont. He formally lists himself as an independent, but throughout his career - including stints as a mayor and House member - he's described himself as a democratic socialist. "Branding someone as a socialist has become the slur du jour by leading lights of the American right from Newt Gingrich to Rush Limbaugh," Sanders said in 2009. "If we could get beyond such nonsense, I think this country could use a good debate about what goes on here compared to places with a long social-democratic tradition like Sweden, Norway and Finland, where, by and large, the middle class has a far higher standard of living than we do." Well, Newt ought to know. He is a National Socialist of the first order. Just ask him about his moon base plans. 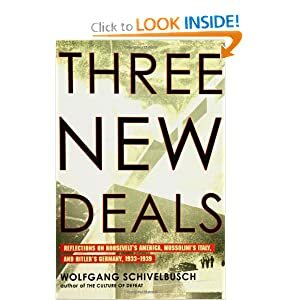 The roots of socialism in America can be traced to the arrival of German immigrants in the 1850s, according to Rutgers University professor Norman Markowitz, who teaches the history of socialism and communism. Let's not skip over the Red/Black Alliance, where Anarchists joined with Socialists to begin the American Labor Movement with an act of terrorism also known as the Haymarket Riot. The party's following eroded during the 1920s, and Debs was succeeded as leader by Norman Thomas, a Presbyterian minister in New York. During the Great Depression, Thomas received 892,000 votes in the 1932 presidential election as Franklin Roosevelt won the first of his four victories. FDR took the National Socialism of Woodrow Wilson to new heights, or lows if you are an anti-Socialist. After World War II, the anti-communist crusade led by Sen. Joseph McCarthy and the broader tensions of the Cold War relegated organized socialism in the U.S. to the political margins. The term "creeping socialism" emerged, used by conservatives to denigrate various policy proposals and initiatives that involved a role for the government. Ah, the mention of Joe McCarthy, who never accused a single person falsely. If you believe he ruined the lives of innocents, then name one. After the Cold War's end, use of "socialist" as a political insult also receded. Markowitz believes its recent revival relates directly to the animosity toward Obama that is shared by a certain segment of Americans. Yea, couldn't have a single thing to do with turbocharging the socialistic policies of George Bush, could it? "There's this hysterical outbreak of abuse to prove that the president is not American, that he's a secret Muslim, that policies that past Republican administrations would have adopted are part of a socialist, communist conspiracy," Markowitz said. Now that is funny. Both Mr. and Mrs. Obama were saying he was from Kenya for years before he ran for President. Now, I am perfectly willing to believe that Barack Hussein Obama was actually born in Hawaii and he was lying for years about being born in Kenya just to look "cool" for his Leftie friends. Still, if Mr. Markowitz is going to complain about talk that Obama is not American then maybe he should go talk to the source. Due in part to the multiple definitions of socialism, some conservatives wrestle with semantics as they seek appropriate terms for Obama's ideology. Seems the only one doing that in this article is the author. The saying that the Socialists are like the Shia and Sunni is almost literal. Each faction: Stalinist, Trotskyist, Maoist, etc. thinks that theirs is the one true way and the rest are just poseurs. "Instinctively, the president is a collectivist," said Ken Blackwell, former Ohio secretary of state and now a conservative commentator. "My fundamental belief is that he wants to transform our market economy into a government-controlled economy - not far afield from European-style socialism." Another vote for Nationalized Socialism there. 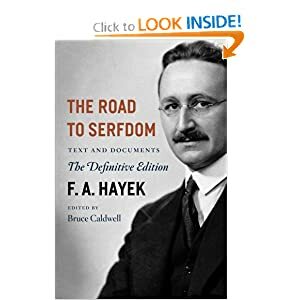 Steven Hayward, a resident scholar at the American Enterprise Institute and author of a two-volume biography of Ronald Reagan, said Obama is not a socialist under the strict definitions of that term - central economic planning and government control of production. "However, socialism has a secondary meaning that is harder to explain - government regulations, supervision of the private economy," Hayward said. "The problem now with Obama is, `What does he really think?'" Ezra Klein, a blogger and columnist for The Washington Post, tackled the issue recently in a posting headlined "Barack Obama: Worst. Socialist. Ever." Again, not Socialist enough for Klein, who was yearning to have John Edward's baby (changed link to a 2004 story) just a few years ago. Seems someone beat him to it. Klein cited data indicating that the government sector of the economy shrank during the past three years. "If President Obama is truly a socialist," Klein wrote, "then he's not a very good one." Obviously you have to ignore the census spike, and what you can see is that payrolls are up by a couple hundred thousand since 2008. 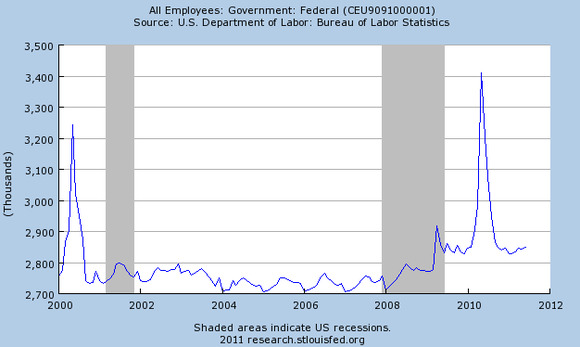 No, not a shrinkage, that is plumping of the federal employee payroll and General Motors employees are included. Nice try AP. You do not supersede Title 17 Sec. 107 of the US Code. So, you decide. Obama: National or International Socialist? I have made my decision, which may or may not be the same as yours, while researching the Theodore Roosevelt administration. To be sure, it is not an obvious conclusion, at least so much as I have not seen others drawing the same conclusion as me. 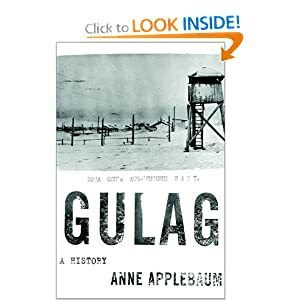 It caused me to rewrite the Socialism section of the book and reclassify/relabel the two major varieties of Socialism. Hint: National Socialism now comes under a subheading within the umbrella of Socialism, rather than being one of two types. 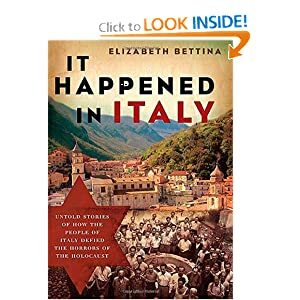 For more details, watch this blog and order the book when it is published.